This activity highlights the multiple dimensions of our cultural identities. It addresses the relationships between our desires to self-define our identities and the social constructions around culture that label us regardless of how we define ourselves. By the end of the activity students should have identified their own cultural values and developed an awareness of the potential negative impacts of developing assumptions about others. This activity was originally developed by Coombs and Sarason (1988) and has been adapted for this context. Ask participants to describe their cultural background to their partner, focusing on what distinguishes themselves from others. What aspects of their cultural identity are they most proud of? 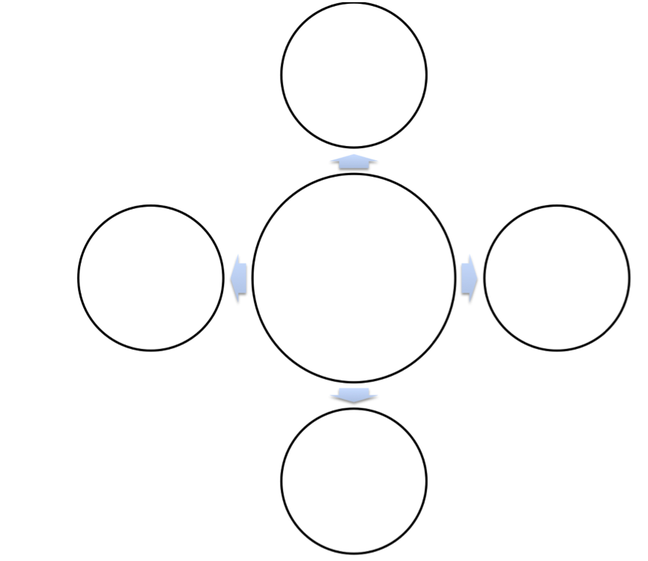 On the handout provided (‘Circle template’), ask participants to write their names in the center circle. They should then fill in each satellite circle with the dimensions of their cultural identity that they consider being important in defining themselves. For example, female, Christian, Asian Australian, sports lover, student etc. Ask participants to share a story about one of the identity traits they have included, explaining why it might be important to them. Ask participants to share one of their partner’s statements. How do the elements of your identity that you see as important differ from how other people sometimes perceive you? What is a stereotype? Where do they come from? How do people come to these assumptions? Are stereotypes bad? Why or why not? What does this mean for you and the way you want to interact with people? How can you avoid falling into the generalization / stereotype trap? Coombs, G. and Sarason, Y. (1998), Culture Circles: A Cultural Self-Awareness Exercise, Journal of Management Education 22:2, 218-226.